When websites and newspapers from around the world published a story about food poisoning cases from a Pow Sing restaurant in Serangoon Gardens, Singapore, it was a horrible scandal, and absolutely disastrous for this restaurant’s reputation. The restaurant’s owner, Mr Lee Chin Soo, did his best to make amends. He had his entire kitchen sanitised, workers sent to appropriate sanitary courses and disposed of all the food he had in the restaurant at that time. However, he did one more, excellent thing, to save the reputation of his restaurant – every day, Mr Lee Chin Soo came to his own restaurant for lunch and ate the food prepared there himself in order to prove that it was healthy and fresh. This is an example of dealing with damage control for a scandal that already occurred. But, wouldn’t it be all better if the scandal was prevented in the first place? The cases reported have all been in relation to foodborne diseases, which can be prevented by a proper workplace hygiene. 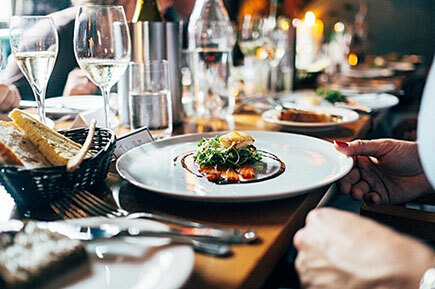 In order to be safe, rather than sorry, make sure that you as a responsible restaurant owner have the following 7 tips covered in your restaurant. Let’s start with maintaining the hygienic practices you already have in place and then, moving on to dealing with food and lastly your staff and your facilities. It’s hard enough to keep up with all the food and beverage orders coming in and keeping the meals nice and warm for serving without having to comply with additional sanitary rules, right? Well, without those rules, you may as well close your business right now, because you probably have a food poisoning scandal coming your way. Does it say “unless you are really, really busy”? Of course it doesn’t. Even on your busiest days, you should NEVER compromise your hygiene protocols. If you are worried that it will hurt your business and drive your customers away, just offer them an explanation – having a sanitary food preparation area takes time. Offer your customers a complimentary drink while they wait. The buffet should never be left unmonitored. There always has to be at least one waiter or responsible restaurant employee present, to help restaurant customers with the food, make sure that the self-service aspect of your restaurant doesn’t compromise the food quality and make sure that the food is fresh and the temperature of the buffet complies with hygiene standards. When the holiday season arrives in Singapore, there are many buffets to choose from, as they somewhat cut down the time needed for the service. However, you have to be very careful when serving from a buffet, especially if they involve fish, both cooked and raw food and similar, sensitive combinations, prone to contamination. You can find several innovative different tips on how to make your buffet safe and appealing for restaurant customers, even during the mad rush of the holiday season. However, checking your buffet against hygiene rules one more time is always a good idea. You can never do it too often. 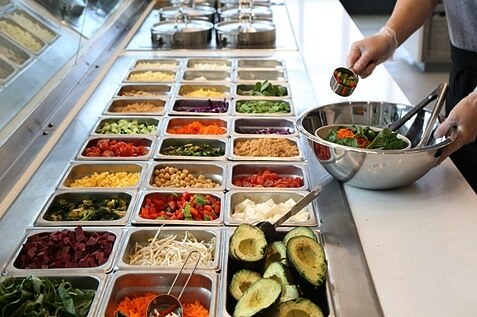 Similar rules that apply to a food buffet can also apply to salad bars. If you serve hot foods in a salad bar, the temperature should never drop below 58 C, while cold foods should never be kept at over 5 C. There are some other, very useful tips regarding healthy and safe salad bars in your restaurant. Salad bars are a very healthy option and a lot of people choose them because of the vegetable -rich food and the ability to create their own balanced meals. But, this can be achieved only if your salad bar is flawlessly maintained. Now that you have your rules and regulations ready and in order, it is time to deal with the items you use to handle food. 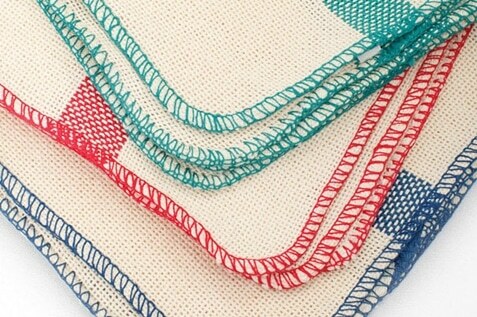 Kitchen utensils, food and glass wipes instantly come to mind. Your kitchen utensils need to be sanitary, well stored and always clean. If you are running a business focused on food hygiene and safety, as you should, you need to use reusable wipes as a part of your efforts. Once you took care of your foods and utensils, your staff is the next on your list. More precisely their uniforms. Everybody knows how a chef’s uniform looks like, not many people know the history of the hat and the apron. Moreover, few people truly understand how hard it is to keep kitchen staff uniforms clean at all times. Spills, splashes and stains happen all the time. But, the real issue is not with the visual aesthetics, but the fact that food residue creates a perfect breeding ground for dangerous bacteria. Maintaining staff uniforms is hard work and time consuming. 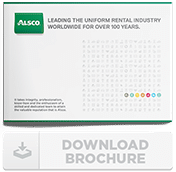 Therefore, it is best to use a managed rental system for your uniforms. This means that your workers just need to drop their uniforms at a designated place and Alsco picks them up, sanitises, and brings them back in time. If your kitchen staff do not understand the importance of proper hand washing, they risk contaminating customer food and causing foodborne illnesses to spread. Use the Alsco posters as hand washing reminders throughout your restaurant, bar or cafe. It will be hard for your employees to maintain their personal hygiene at a high level, if the washrooms you provide are not properly maintained. 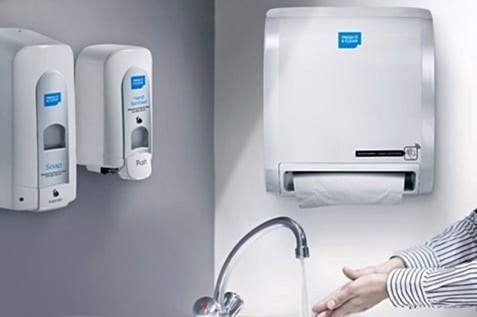 As a restaurant owner it is your duty to equip each workplace washroom with soap dispensers, hand dryers and toilet seat sanitizers to be completely sure that there are all conditions for preventing germs from spreading outside the washroom. Constantly cleaning the washroom, refilling the soap dispensers and sanitisers is a chore that can be delegated to professionals. Call Alsco today for a competitive quote Alsco will install high quality washroom equipment, regularly refill it and maintain it for a monthly fee. Ask about our uniform and kitchen linen rental services, as well. You’ll be surprised how affordable it is to take this unnecessary workload off your shoulders. Contact Alsco now and get yourself the best ally in your efforts to run the perfectly maintained and successful restaurant.